Good news and glory to God! 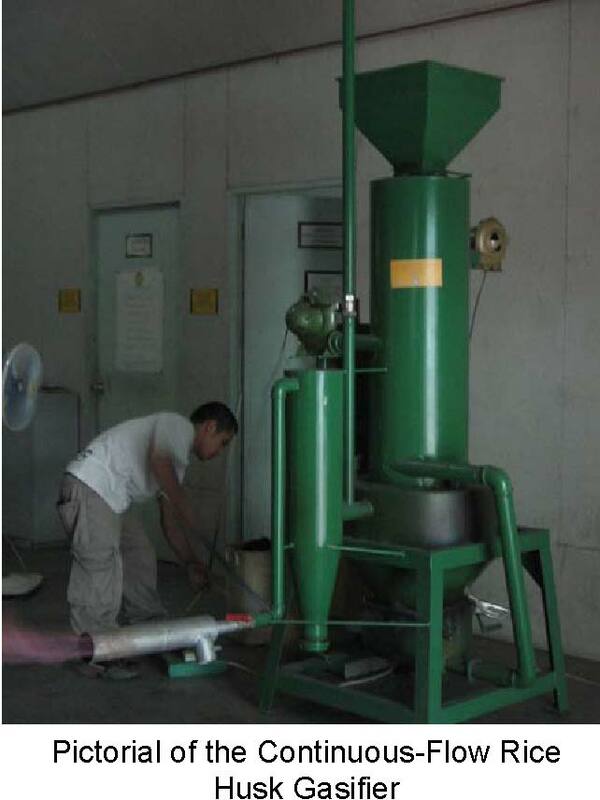 Rice husk gasification can now be done in a continuous mode with the latest design of a continuous-flow down-draft rice husk gasifier. Instead of using a dual reactor, continuous firing can be achieved using a single reactor. 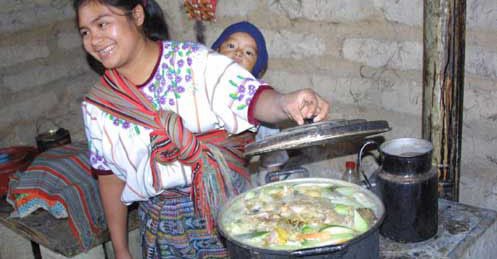 With this development, a more convenient and lower cost rice husk technology can be made available to people who wish to use rice husks as fuel as a replacement for the high-cost LPG fuel. The continuous-flow rice husk gasifier is another breakthrough project of the Department of Agricultural Engineering and Environmental Management of the College of Agriculture, Central Philippine University, Iloilo City, Philippines, with the assistance from the following agricultural engineering students: Maybel Alemani, Jason Gem Villaruel, Daniel Belonio, Lucio Larano, and Xykster Pelaez. 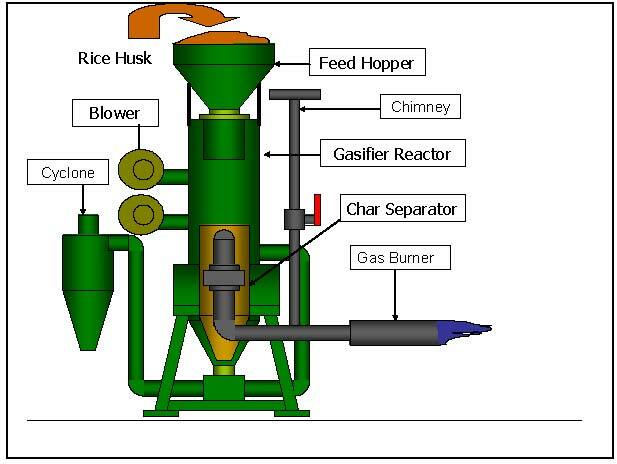 The gasifier, as schematically shown, has the following components: a 0.25-m diameter by 110-cm high single reactor where rice husk is gasified using limited amount of air for combustion.